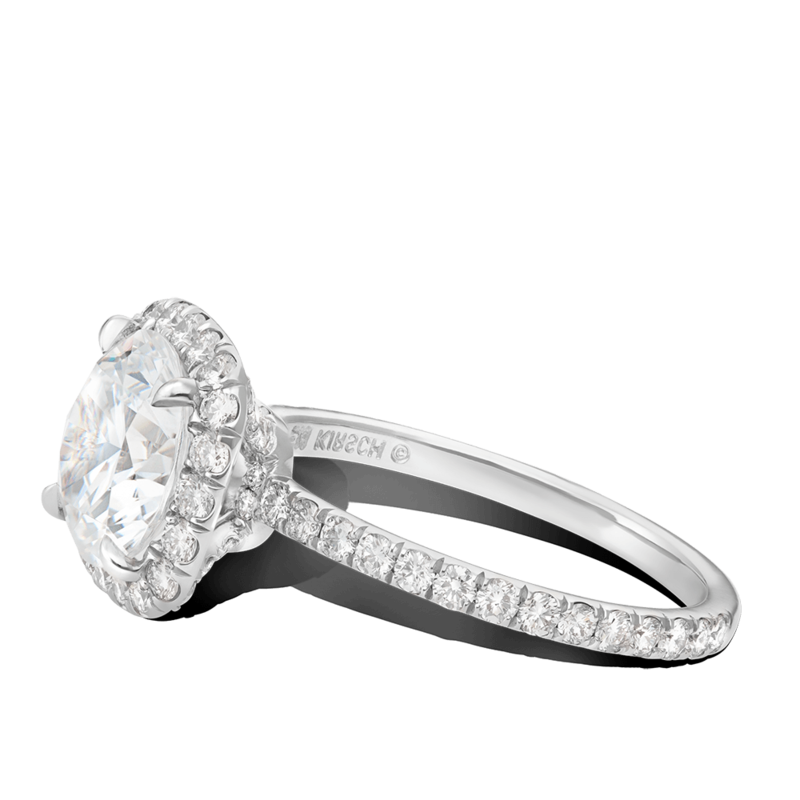 The timeless and glamorous diamond halo ring has quickly become one of our signature styles. This feminine graceful design is a bound to keep. 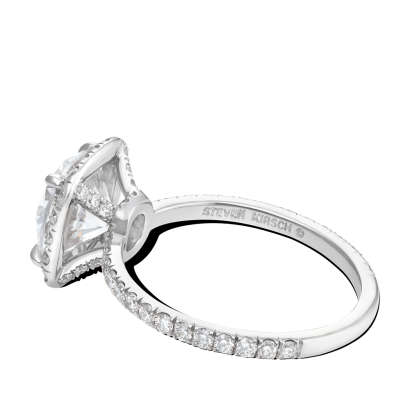 The center stone is delicately encircled by dazzling, meticulously hand-crafted, cut down pave, which continues down the uniformed cathedral shank. 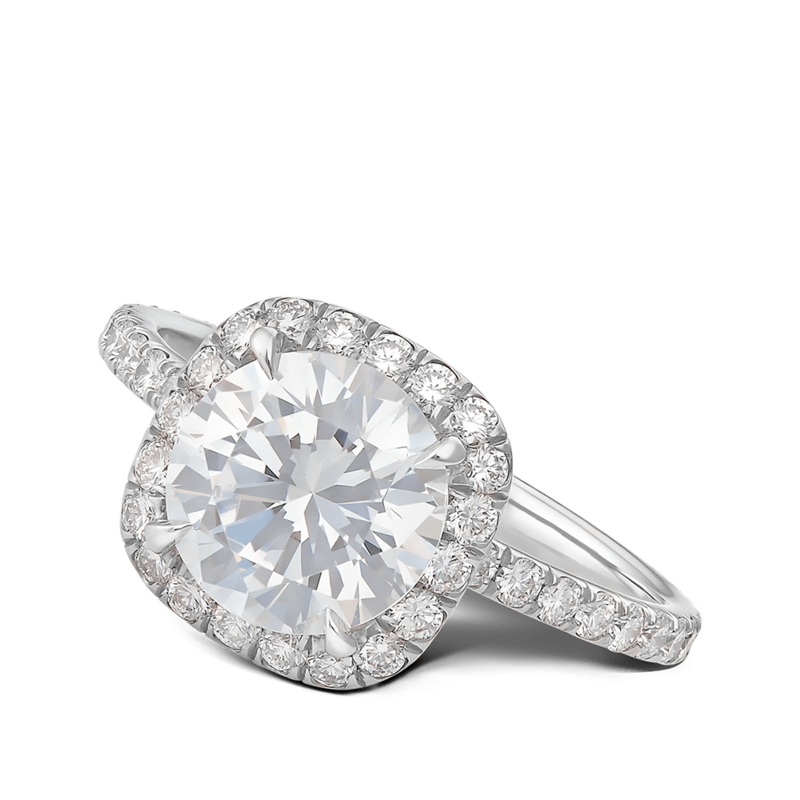 Designed for a 2ct or 8 mm round center stone. Can be made for any size center stone.